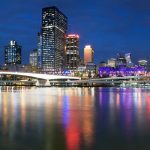 Sunstate Coaches can look after your specific school bus hire Brisbane needs. Are you looking for safe, professional and reliable coach or bus hire for your next school, university, or college excursion or event? Phone Sunstate Coaches today on 07 3260 1666 for a no obligation quote for your school transport requirements. 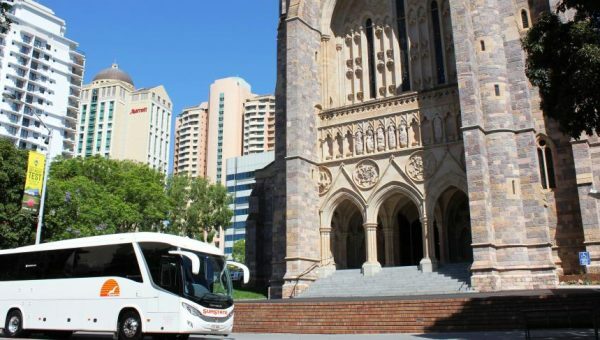 Sunstate Coaches are the market leaders with more than 30 years experience in providing safe transport for children and students across Brisbane and South East Queensland. 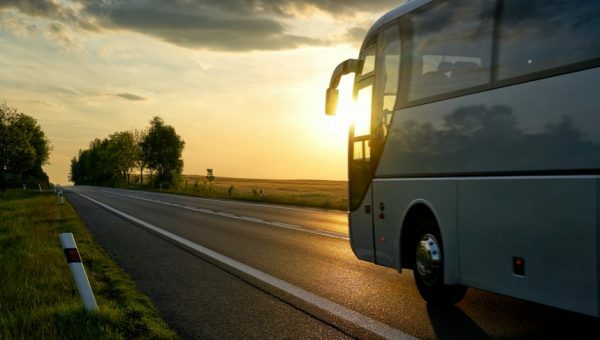 From local transfers and full day outings to extended field trips and tours, Sunstate Coaches have an extensive fleet of modern and safe coaches or minibuses to suit your school transport needs. Enquire online or simply make a booking today! 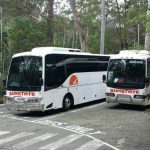 Why choose Sunstate Coaches for your school bus hire? Sunstate Coaches are the trusted providers in school bus and coach transportation. Our professional drivers undergo extensive training and our fleet of vehicles undergo rigorous testing and maintenance to ensure our outstanding safety record. You can rely on our friendly and professional school bus and coach drivers to arrive on-time to scheduled pick-ups and drop-offs for a stress-free journey. Additionally, we’ve fitted the most advanced GPS tracking systems to our range of vehicles so we can be sure your driver is on track! Sunstate Coaches were among the first to fit lap/sash seat belts in all of our coaches, and we are also one of the only operators with GPS tracking software fitted to all of our coaches. Phone Sunstate Coaches today on 07 3260 1666 for a no obligation quote for your school transport requirements. Or simply enquire online or make a booking today! 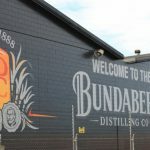 If you have any questions about our Bundaberg & 1770 Specialty Tour send an Enquiry here or Call Us now on (07) 3260 1666. 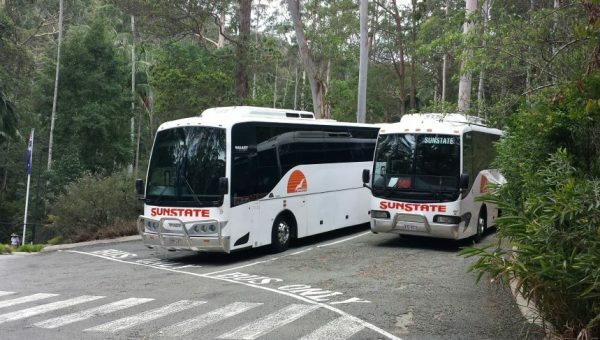 Boasting more than 30 years’ experience, Sunstate Coaches have a reputation for comfort, safety and exceptional service, not mention experienced and friendly staff. 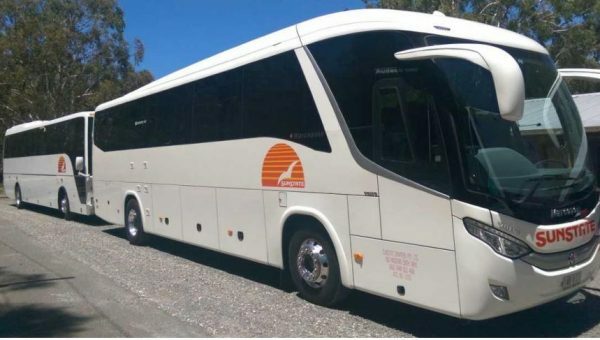 Our fleet of modern and luxury coaches are perfect for General Coach Charter; Airport or Cruise Ship Transfers; Corporate, Conferencing & Events; Sporting Tours and School Groups. PLUS we have a range of popular Speciality Tours to choose from, and can also create a memorable Day Tour on your behalf. We take care of all bookings and running around so you only have to make one call. 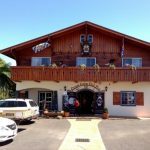 To make a booking or enquiry, please call us on (07) 3260 1666 or Click here.